No cake in the world can match up to a delicious home baked strawberry cake. So if you are hunting for strawberry cake recipes, look no further but pick from our collection of strawberry cake recipes to make one yourself. Strawberry Cake is a very delicious recipe. 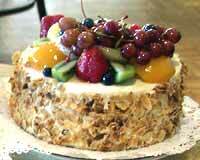 Learn how to make/prepare Strawberry Cake by following this easy recipe. Strawberry Heart Cake is a very popular recipe. Learn how to make/prepare Strawberry Heart Cake by following this easy recipe. 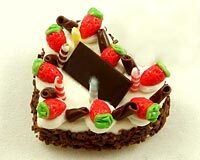 Strawberry Cream Cake is a very popular recipe. Learn how to make/prepare Strawberry Cream Cake by following this easy recipe. Strawberry Cheesecake is a very popular recipe. Learn how to make/prepare Strawberry Cheesecake by following this simple & easy recipe. Strawberry Cup Cakes is a kids favorite cake recipe. 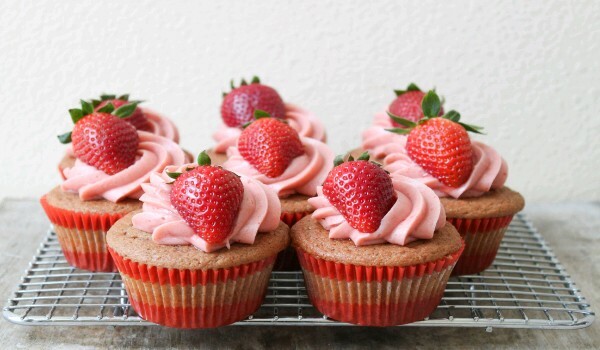 Learn how to make/prepare Strawberry Cup Cakes by following this easy recipe. Strawberry Shortcake is a very delicious recipe. Learn how to make/prepare Strawberry Shortcake by following this easy recipe.